Power systems are designed and operated so that for any normal system condition, including a defined set of contingency conditions, there is adequate generating and transmission capacities to meet load requirements. However, there are economic limits on the excess capacity designed into a system and the contingency outages under which a system may be designed to operate satisfactorily. For those rare conditions where the systems capability is exceeded, there are usually processes in place to automatically monitor a power systems loading levels and reduce loading when required. 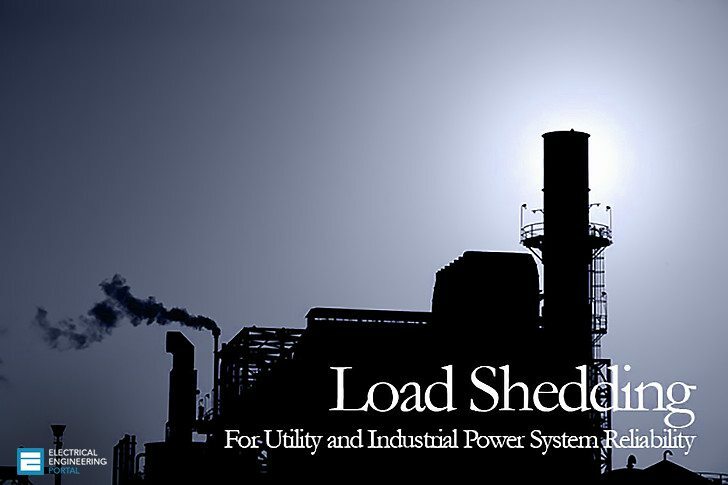 The load shed processes automatically sense overload conditions, then shed enough load to relieve the overloaded equipment before there is loss of generation, line tripping, equipment damage, or a chaotic random shutdown of the system. To organize the discussion of load shedding, consider that the topic may be differentiated according to the following lists. Those in which there is a real power shortage and in which the prime mover torque cannot meet the load torque and the generation begins to decelerate. Those in which there is a reactive power shortage. This is manifested as voltage drops in line and transformer reactances that prevent power delivery to loads. Those in which the condition arises and progresses rapidly, and in which the condition cannot be sustained or withstood and for which a high speed automated response is required. Those in which the condition arises and progresses slowly, and in which the condition can be sustained or withstood for a short period. This condition allows for manual response by operators. The material to follow stresss analysis of item 1 in each of the above lists, but every item in the lists is discussed in part. Following the analysis is review of load shed implementation strategies. A very interesting phenomenon occurs when a large generating power plant feeds two or more transmission lines and one or more of it is/are lost. In this case, the remaining will be submitted to overload. Under this condition generating power must be shed by means of an order to remove one or more machines.